Kayaking in Cape Town is an unparalleled experience. Our extensive coastline borders two of the world’s oceans and are abundant in wild marine life. If the idea of encountering penguins, being greeted by a curious seal or escorted by a pod of dolphins is what floats your boat, then a kayak tour in the Mother City is definitely for you. The first thing one needs to decide before going kayaking is which coastline to explore. One option is False Bay, with beaches like Boulders, Fish Hoek and Muizenberg for paddlers to marvel at. If you choose to kayak on the slightly warmer waters of this bay, consider going with Kayak Cape Town. The company does daily tours which depart from the Simon’s Town jetty at 8:30am, 11am (in mid summer) and occasionally in the afternoon. Each trip is approximately two hours and costs R350 per person. Penguin sightings are guaranteed. Sit back, and enjoy Mother Nature ? 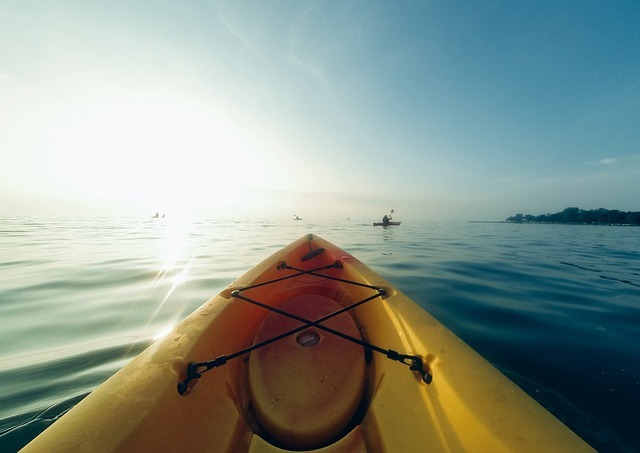 Another location for kayaking is the Atlantic Seaboard, with trips along the coastline taking paddlers past the V&A Waterfront, Three Anchors Bay and Sea Point with a close view of Table Mountain. For a paddle on the Atlantic Ocean, Kaskazi Kayaks and Adventures is the go-to kayak tour operator. Trips are two hours and cost R400 per person. There are four tours a day, with the first beginning at 6:30am and the last at 6pm. Each tour is between 3-5kms and goes toward either Granger Bay or Bantry Bay. Regardless of your choice, both tours give kayakers a new perspective of the Mother City’s surrounds and a feeling of being removed from the hustle and bustle. In the madness of Christmas time, kayaking along these coastlines will be the perfect way to clear your mind and unwind. If experiencing Cape Town in a new and exciting way interests you, read about Local Knowledge Tours here.